Find a sailing crew or find a sailing boat at Ocean Crew Link. We connect boat owners looking for sailing crew, and crew looking for boats. Search our sailing crew opportunities to connect with hundreds boat owners who want a sailing crew for all types of ocean sailing. Search our sailing crew list to connect with thousands of potential crew – all interested in ocean sailing. Unlike other sites, Ocean Crew Link specializes in opportunities for ocean sailing crew, so if you are planning to cross the Atlantic or island-hop in the Pacific and need a sailing crew, register now and connect with sailors from around the world. Ocean Crew Link is World Cruising Club’s preferred sailing crew match service and has a special focus on voyaging rallies like the ARC, Caribbean 1500 and World ARC. 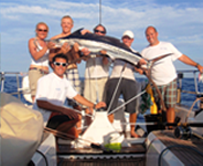 Boat owners and charter companies use Ocean Crew Link to find crew for rallies and independent cruising. Each month there are around 150 opportunities to sail as crew available on the site. Our weekly email will update you on sailing crew opportunities added in the last 7 days. There is a subscription fee of $5 per month recurring. The subscription may be cancelled at any point. Register now – you must be aged 18 years or more, and will need to include information about sailing skills to make matching easier. 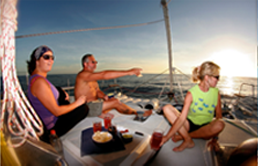 Ocean sailing is about people and personalities, so start a conversation and see where it takes you! Happy Sailing! Viewing crew profiles requires you have at least boat with an active sailing opportunity. Please click "Create Boat" button to get started. Viewing sailing opportunities requires an active subscription Please visit your profile and click the orange button that says "Complete account activation as crew looking to sail" to activate your subscription.